Hi ladies! I am in the best mood today because all of my AS exams are complete and I have zero work to do! I'll be posting much more regularly from now on, so I hope you continue to read and enjoy my posts. Anyway, today I thought I would do a review of the new(ish) L'Oreal Micellar Water. It seems like every brand out there is doing their own version of the famous Bioderma and although I haven't tried that yet, L'Oreal generally do good skin products so I thought I'd give this a go. 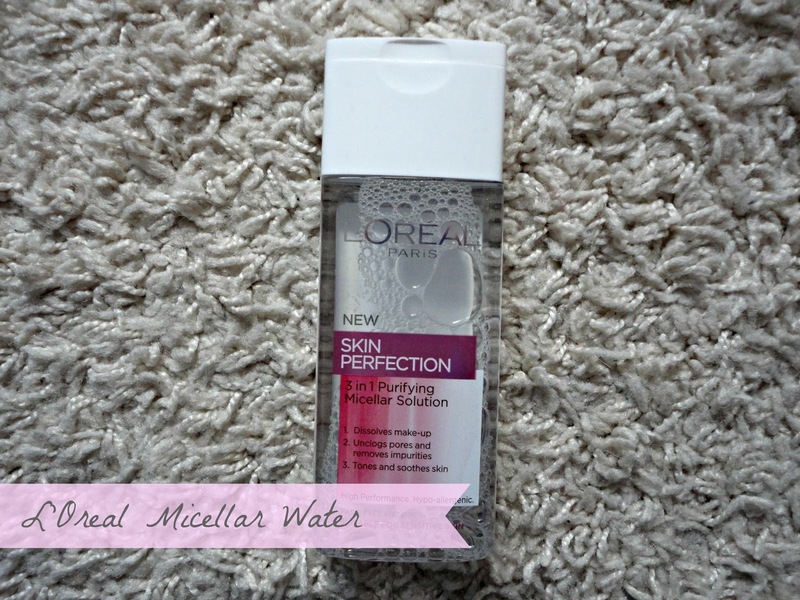 Firstly, I really like the sleek packaging of the Micellar Water. It's unlike so many similar products and the simple pink and white colours totally appeal to me. It's also a fairly big bottle, with 200ml of product. However, I am getting through this pretty quickly because I also use this to clean my Beauty Blender everyday so I've used over a 1/3 of this in a week - oops! I'm sure if you only use this for taking makeup off, it'll last much longer though. In terms of taking makeup off, I would say it does a really good job. I generally use separate eye makeup remover, but this helps to get any last bits off after using that. It also has no scent and promises to be suitable for sensitive skin so I'm sure every skin type would get on well with this. I haven't found that this breaks me out or causes any problems for my normal skin type, and I like that it has no alcohol in it which can dry out the skin so much. I never use this on it's own to take my makeup off, as I like to get most of it off with this, then follow it up with the Liz Earle C&P. 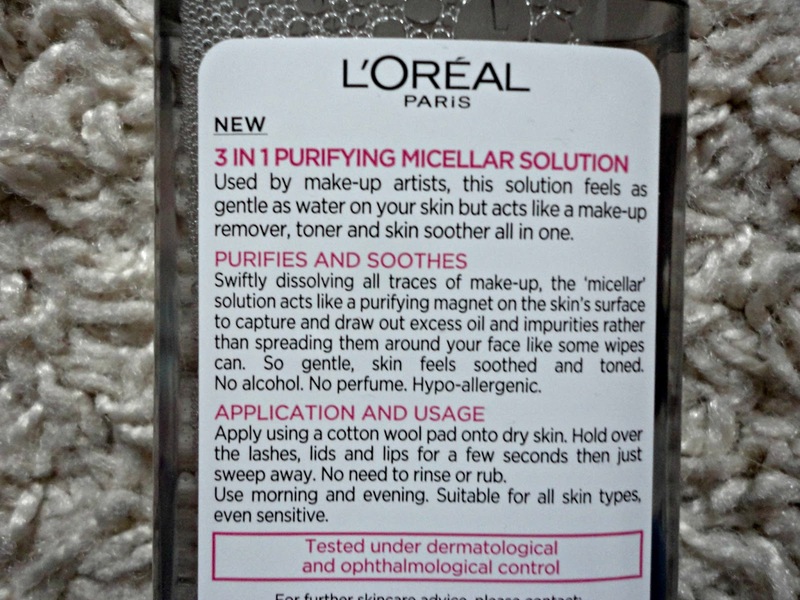 This also claims to be a 3-in-1 makeup remover, toner and skin soother, meaning you don't have to fork out for an extra toner if you don't want to. This also gets lipstick off in an instant so is perfect for when you just can't decide what lip colour to wear! Until I can get my hands on the possibly hyped-up Bioderma, I'll continue to use this because it's such a good makeup remover and feels really pure and soothing on my skin. 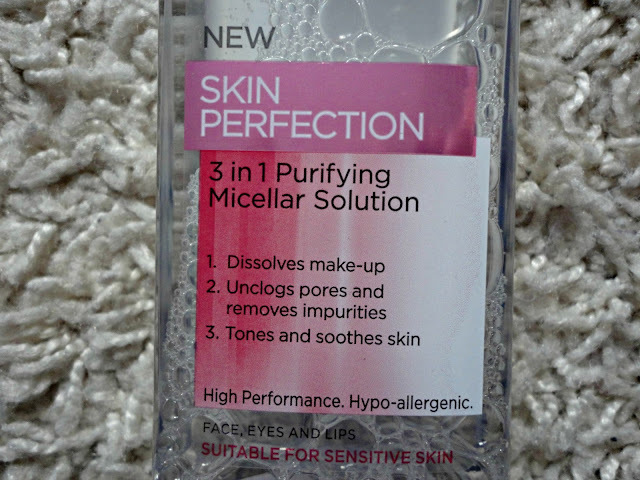 Compared to my Caudalie cleansing water, this is much better for more skin types and has not only removed all my makeup, but kept my skin looking and feeling good at the same time. Plus, you get twice the amount for less money!